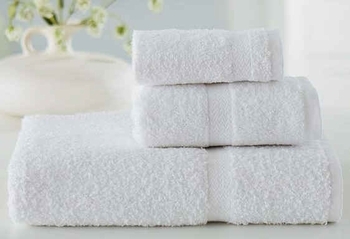 The Wellington Hospitality wholesale white washcloths are woven from 100% ring spun cotton which insures that they will maintain softness and a bright appearance after repeated laundering. 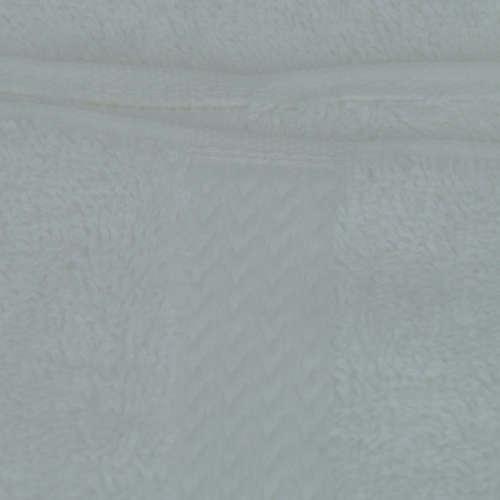 The durable washcloths have an attractive dobby border with double needle stitched hems for endurance. These WelSpun Wellington Hospitality Washcloths measure 13" wide x 13" long and weigh 1.5 lbs. per dozen. A good medium-thickness, these washcloths have a fabric weight of 520 gsm for a nice hand and absorbency. 100% Ring-Spun Cotton Terry Washcloths - Durable, Soft Hand and Absorbent.